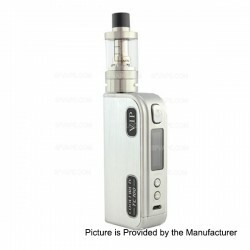 Original ADVKEN AK60 60W TC Box Mod $44.00, free shipping for most countries. The original ADVKEN AK60 60W TC VW Mod supports wattage adjustable form 5W to 60W. The TC mod supports temperature control range from 200'F to 600'F and support Ni200, Ti, SS316 wire and TCR function. 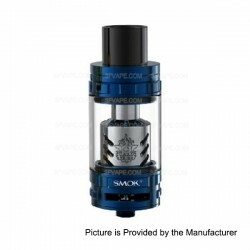 Gun Color SmokTech TFV8 Cloud Beast Sub Ohm Tank $29.99, free shipping for most countries. The Proto RTA Clone $14.99 The Proto clone RTA is a small format tank with a 4.5mL capacity, postless deck and top wicking design. 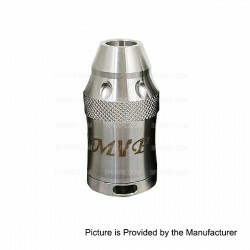 Odeon V2 RDA Clone $13.99 The Odeon V2 clone 22mm flavor chasing atty RDA features a ceramic exterior coat to give maximum heat insulation and protection from wear and tear. Adjustable airflow for single or dual coil builds. The RDA is made from 316 stainless steel. 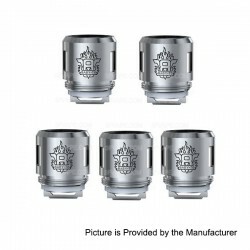 316 Stainless Steel Tokugawa RDA Clone $12.99 The Tokugawa clone RDA features a unique Cross Post design for center coil configuration. The RDA is designed with adjustable bottom and side airflow for optimal flavor and cloud production. A bottom airflow seal cap is included for those who enjoys dedicated side airflow configuration. This RDA is constructed from 316 stainless steel. 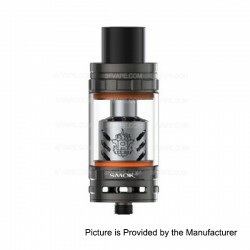 SXK Vario RTA Clone $13.99 The SXK Vario clone RTA is constructed from stainless steel and PC tank with about 2.2mL e-liquid capacity. The RTA is with top filling system and fixed air hole (Middle of mouth to lung and directly lung). 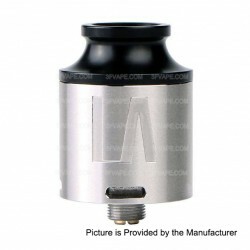 LA RDA Clone $9.99 LA clone RDA is a 24mm, three-piece, Atty constructed of stainless steel. The deck is built in block clone, gold plated positive T-post in a direct cut straight into the minus U-pillar. The lower air flow in RDA is in a 5.5 mm juice well to prevent leakage. Coming with a 510 Delrin adapter, and mud cap. 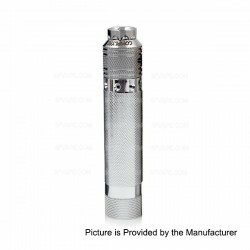 Goon Mechanical Mod Kit Clone $19.99, free shipping for most countries. The Goon clone Mechanical Mod Kit is combined from a Copper Goon clone mechanical mod and a 22mm Goon clone RDA with wide bore drip tip. The mechanical mod is wrapped with carbon fiber for better heat dissipation. Dual-Pole Battle Deck for Rebuildable Atomizer $6.99 The replacement battle dual-post deck is suitable for rebuildable atomizers. It features 20mm diameter and dual-post design for single coil build. Please be careful when you want to build dual coils, It needs more vaping experiences and professional knowledge. 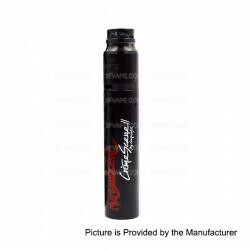 AV Avid Lyfe M1P5 Mechanical Mod Clone $17.99 AV Avid Lyfe M1P5 clone Mechanical Mod is made from aluminum (battery tube) and brass (fire button and top cap). The mechanical mod is powered by 1 x 18650 battery and with magnet fire button. 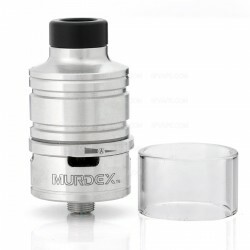 Original Murdex Lava-D RDA $25.90 The Original Murdex Lava-D RDA is the top functional RDA atomizer, with dual heating wire coils. It supports three different modes of heating, which adapts single A, single B, Dual A&B. It is the best product for your choice, the innovation will bring you the unparalleled vaping experience. 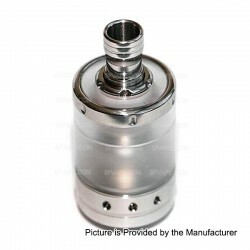 Petri V3 RDA Clone $10.69 The Petri clone RDA is constructed from stainless steel and in 22mm diameter. The RDA is with dual-pole design and adjustable airflow control. Original Innokin CoolFire4 IV TC100 3300mAh VW Mod + iSub V Clearomizer Starter Kit $57.99 The Innokin CoolFire4 TC100 is powered by the Ultra-fast advanced AETHON chipset with 100W of pure power with ClearWave noise cancellation technology. 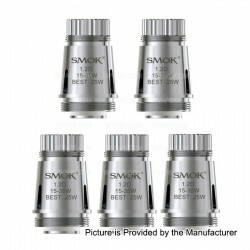 Original SMOKTech SMOK Brit Sub B2 Core Coil Heads $9.99 3 PCS pack, 0.4ohm. Original SMOKTech Brit Sub B2 Core 0.4 Ohm is compatible with Brit Mini Flavor Tank. SMOK B2 core is in 0.4 and works under 20~50W to produce massive cloud of vapor and rich taste. It fits SMOK Brit mega kit tank and Osub plus kit. 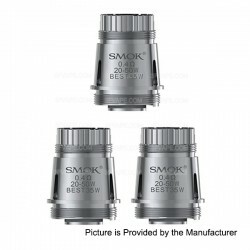 Original SMOKTech SMOK Brit Mini BM2 Core Coil Heads $13.99 5 PCS pack, 0.6ohm, 1.2ohm available. Original SMOKTech Brit Mini BM2 Core 0.6 Ohm/1.2 Ohm is compatible with Brit Mini Flavor Tank. It is your best Cloud & Flavor Mate. The 0.6 coil works with 15~25W and the best wattage is 20W. The 1.2 coil works with 15~35W and the best wattage is 25W. 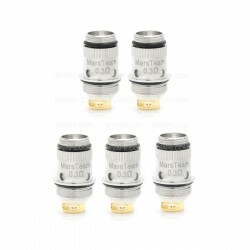 Triad RDA Clone $10.99 Triad 3 Point Post Design, 24mm diameter. The Triad Style RDA features three side airflow inlets (one for each posts coil) which can be adjusted and can be fine-tuned based on user preference. The Triad RDA is topped with a heat resistant, wide bored Delrin drip tips to minimize any heat transfer to your mouth. 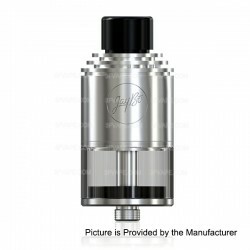 GT III RTA Clone $17.99 5mL, 23.6mm Diameter. The Taifun GT III style RDA is with Top-fill System and 5ml capacity made of high quality stainless steel with glass insert. 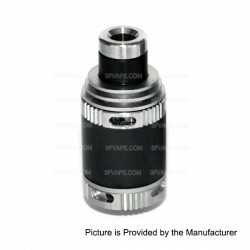 GVMP RDA Clone $9.99 The GVMP clone RDA features 24mm diameter and Kennedy 24 Dual-pole deck. 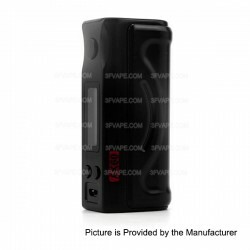 The GVMP RDA is with the same airflow control as the Kennedy 24. TFMT RTA Clone $18.99 The TFMT clone RTA is with incredible flavor, but it is also made for the cloud chaser. The huge build deck and generous juice channels means it can handle series coils and high power. This truly is a dripper experience in a tank. The Top-Flow Mega Tank is with a quad-post deck, Top filling system and a shorter profile. VGOD Pro Mechanical Mod Clone + VGod TrickTank Pro clone RDTA Kit $26.99 The VGOD PRO clone MECH MOD is constructed of durable brass and treated with a durable matte black coating. The mod is featured a 24mm Diameter, advanced button construction. The TRICKTANK PRO clone RDTA Features a Large Dual Post RDTA clone rebuildable deck for easy dual coil installation. Original Tesla Touch 150W TC Box Mod $68.99 Tesla Touch 150W TC features such as compact in size, large 2.4 IPS screen, multi-functions. Touch screen as touch phone for different funtions. Original Lost Vape Triade Triple DNA250 Box Mod $139.99 Multi-color, The Triade DNA 250 by Lost Vape is an updated version of the Triade DNA 200. Compared to its predecessor, the Triade DNA 250 features a 50 watt power increase to 250W, faster USB charging at 2 amps, a 55A current output limit, on-board reverse voltage protection, a higher current fuse and an easier stainless steel temperature control system. 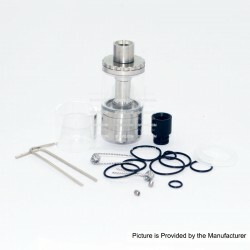 Original Fummy FZ RTA $25.99 The original Fummy FZ RTA is constructed from stainless steel and glass tank. 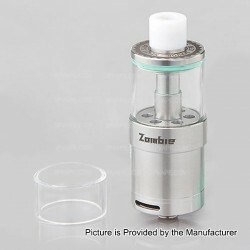 The RTA is in popular 24mm diameter and holds 3.5mL juice. The RTA is with Velocity style dual pole build deck and bottom airflow control. 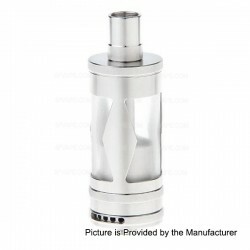 Taifun GT III RTA Clone - 316 Stainless Steel $18.99 316 stainless steel veison. The Taifun GT III clone RDA is with Top-fill System and 5ml capacity made of high quality 316 stainless steel with glass insert. With the completely new technology, the coil can be easily attached and can be changed or controlled easily even with a full tank. 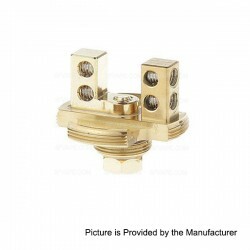 Charm RDA Clone $10.99 304 stainless steel, the Charm clone RDA is with top heat sink design and in 21mm diameter. The RDA supports top & bottom adjustable airflow control, 2 air slits on the sleeve. This RDA comes with botton feeder pin. 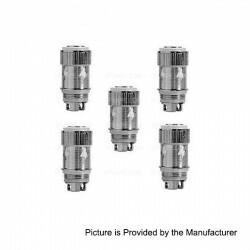 Original Praxis Spitfire Replacement Coil Heads $11.99 The 0.3 Spitfire replacement coils is suitable for the Praxis Spitfire tank (Praxis Survival Starter Kit). This coil comes in a pack with 5 PCS. Original IJOY Combo RDTA Atomizer Replacement IMC-Coil $14.99 The original IJOY Combo RDTA Atomizer Replacement IMC-Coil is in 0.3 and works with 40~80W power output. This coil head is in 5 PCS pack. SMOK Alien 220W Silicone Sleeve Case $1.69 Multi-color available, suitable for SmokTech Alien 220W box mod. 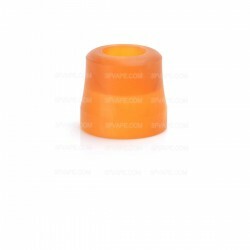 Wide Bore 510 Drip Tip $1.89 Made from Acrylic, multi-color, 13mm in height. 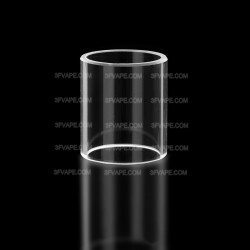 Acrylic Wide Bore Drip Tip for Smok TFV8 / 1/2 Goon RDA / Kennedy 24 / 25 RDA $1.99 This is a wide bore drip tip made from Acrylic. It is suitable for SMOK TFV8 / Wide Bore Goon RDA / Kennedy 24/25 RDA. 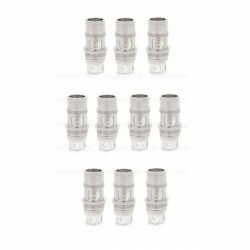 This wide bore drip tip features 13mm length, 16mm outer diameter and 12.4mm connector diameter. With the hollow center, this drip tip will bring you good vaping experience! 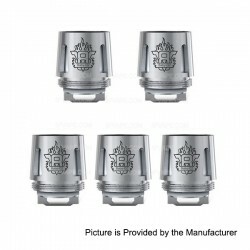 Replacement Honeycomb Drip Tip for Council of Vapor Vengeance Atomizer $1.99 The honeycomb shield is attached to the bottom of the acrylic drip tip to prevent spit back. 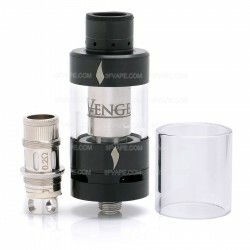 The acrylic drip tip is suitable for Council of Vapor Vengeance Atomizer. 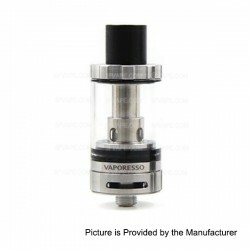 Aspire Cleito Resin Wide Bore Drip Tip $2.99 This is a wide bore drip tip made from Resin. 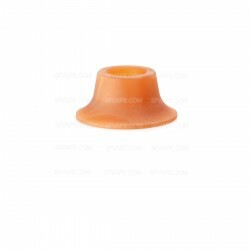 This wide bore drip tip features 13.5mm length and 15mm outer diameter. The resin drip tip is suitable for Aspire Cleito tank atomizer. Random color will be shipped (only one piece). The Fuel V2 clone RDA is in 24mm diameter and dual-pole design. The RDA is with slanted airflow design. It comes with wide bore drip tip as well as 510 drip tip adapter. The PANZER G3 clone mod features a three piece design, hybrid direct connect top cap, oversized copper hex negative contact, recessed firing pin and is constructed of solid brass. The Yokozuna features a trim and compact form factor coupled with a 2.5ml tank capacity that allows for a well balanced profile. with 0.8 and 0.3 Kanthal coils rated at 15 to 35W and 20 to 50W respectively. Filling the 2.5ml tank is done via a dual bottom fill system. The original Sikary Dicey Saint Sub Ohm Tank is the patented tank from SKE technology. The small cute size is similar to UD goblin mini. The coil electrode is gold-plated design, which can decline the internal resistance and gives pure taste. The original COUNCIL OF VAPOR Vengeance Tank Atomizer is with Honeycomb and Heat Sink drip tip and 2ml capacity made of Stainless Steel. 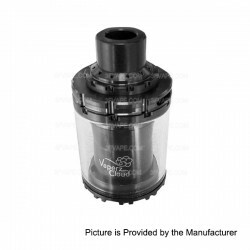 The original COUNCIL OF VAPOR Vengeance Tank Atomizer has four adjustable airflow slits with a heat resistant system and it features 22mm diameter. The original Efest LUC V4 is high quality with 4 charging channel and big LCD charger, it has four built-in independent charging channels with reverse polarity protection, short circuit protection, over-current protection and Zero voltage activation function, it can automatically monitor battery power and give an alarming notice. LUC V4 charger is compatible with most 3.7V Li-ion or LiMn batteries like 10440, 14500, 14650, 18500, 17670, 18350, 18650, 18700, 26500, 26650 etc. It can charge 15270 or 14250 batteries with spacers. With one full charged battery in channel 2, LUC V4 charger also can charge those devices, such as mobile phone, iPad, MP3, Mp4, PSP etc. The V8 Baby-T6 coil head is suitable for SMOK TFV8 Baby tank atomizer. The V8 Baby-T6 core features 0.2 resistance. The V8 Baby-Q2 coil head is suitable for SMOK TFV8 Baby tank atomizer. The V8 Baby-Q2 core features 0.6 resistance. 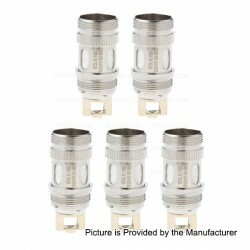 5 pcs-Pack MarsTeam Yokozuna V2 Tank replacement coil; 0.3ohm, 0.8ohm available. 4 pcs-Pack Sikary Dicey Saint Tank replacement coil; 100% Organic cotton. 0.3ohm, 1.0ohm, 1.5ohm available. The Predator clone Mechanical Mod is made from brass and powered by 1 x 18650 battery. The fixed 510 hybrid top is machined into the mod for enhanced conductivity. There are 4 vent holes on the top of the Double Cross mod. The Murdered Out Crime Scene II Rogue Style Mechanical Mod is made from Anodized aluminum and brass bottom button. The mod is powered by 1 x 18650 battery (not included). The Petri V3 clone RDA is constructed from stainless steel and in 22mm diameter. The RDA is with dual-pole design and adjustable airflow control. The Houston clone Mechanical Mod is made from brass and powered by 1 x 18650 battery. Fixed 510 hybrid top machined into the mod for enhanced conductivity makes it perfect. There are 4 vent holes on the top of the mod.The Complyfe Battle clone RDA is constructed from stainless steel triple-post deck, brass top cap and stainless steel drip tip. The Predator clone Mechanical Mod is made from brass and powered by 1 x 18650 battery. Fixed 510 hybrid top machined into the mod for enhanced conductivity makes it perfect. There are 4 vent holes on the top of the mod. The Complyfe Battle clone RDA is constructed from stainless steel triple-post deck, brass top cap and stainless steel drip tip. The Murdered Out Crime Scene II Rogue clone Mechanical Mod is made from Anodized aluminum and brass bottom button. The mod is powered by 1 x 18650 battery (not included). The Complyfe Battle clone RDA is constructed from Stainless Steel. The Complyfe Battle clone RDA comes with triple-post deck design. The RDA features 24mm diameter, large build deck. The Swiss clone Mechanical Mod is made from brass and powered by 1 x 18650 battery. The fixed 510 hybrid top is machined into the mod for enhanced conductivity. There are 4 vent holes on the top of the Double Cross mod. The Complyfe Battle clone RDA is constructed from stainless steel triple-post deck, brass top cap and stainless steel drip tip. This is a Acrylic drip tip suitable for SMOK TFV8 Cloud Beast Atomizer and the Goon RDA with 1/2 inch drip tip connector. This resin drip tip features 16mm length, 16mm outer diameter. With the hollow center, this drip tip will bring you good vaping experience! Suitable for: TFV8/ Kennedy 24 / 1/2 Goon RDA. The wide bore drip tip is suitable for CoilArt MAGE RTA atomizer. The drip tip is made of Acrylic, with hollow center. This is a Stainless Steel + Epoxy Resin drip tip suitable for SMOK TFV8 Cloud Beast Atomizer and the Goon RDA with 1/2 inch drip tip connector. 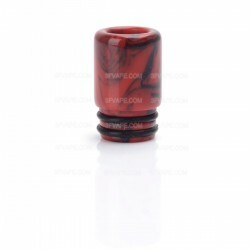 This resin drip tip features 16mm length, 10mm inner diameter and 16mm outer diameter. This is a Epoxy Resin drip tip suitable for SMOK TFV8 Cloud Beast Atomizer and the Goon RDA with 1/2 inch drip tip connector. 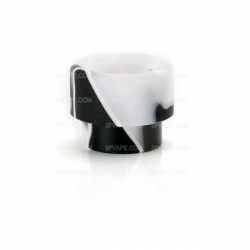 This resin drip tip features 16mm length, 10mm inner diameter and 16mm outer diameter. With the hollow center, this drip tip will bring you good vaping experience! Suitable for: TFV8/ Kennedy 24/ 1/2 Goon RDA. This is a Stainless Steel + Acrylic drip tip suitable for SMOK TFV8 Cloud Beast Atomizer and the Goon RDA with 1/2 inch drip tip connector. 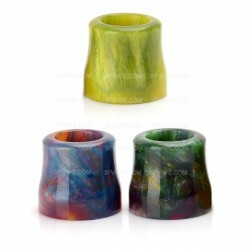 This resin drip tip features 16mm length, 10mm inner diameter and 16mm outer diameter. With the hollow center, this drip tip will bring you good vaping experience! Suitable for: TFV8/ Kennedy 24/ 1/2 Goon RDA. The 510 drip tip is made from Resin with 16mm length and 10mm diameter. 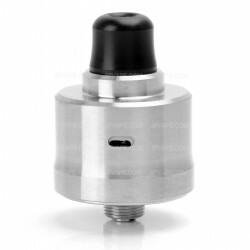 This 510 drip tip is suitable for most of e-cig atomizer. With the hollow center, this drip tip will bring you good vaping experience! 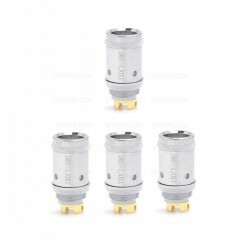 The Replacement Drip Tip is suitable for 22mm RDA. This wide bore drip tip will give you a wonderful vaping experience! The Vaporesso Estoc Tank Mega Atomizer features the beauty of Eco Universal Coil. 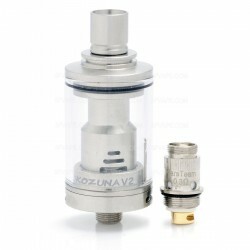 The Unfollow V2 clone RTA is a rebuildable tank atomizer features 3ml e-liquid capacity and 22mm diameter. The Unfollow V2 RTA is constructed from 316 Stainless Steel. There are 6 adjustable bottom air holes. The Unfollow V2 RTA comes with dual post deck, easy to build. With all the amazing design, the Unfollow V2 clone RTA will surely bring you a wonderful vaping experience! IndeReserve features its Clapton coil and stainless steel material. Apart from the open wicking system for ease of installing coil with cotton, the design of side e-liquid filling and top airflow control also make the device stand out from others. Moreover, all the parts of IndeReserve can be detached and reassembled. The Complyfe HK Knurled clone mod is with 25mm battery tube. It is with simple design with a fixed 510 hybrid top to improve conductivity. There are10 vent holes throughout the mod to keep your battery cool and in case of venting.The Mini Comp Lyfe Battle style RDA is constructed from Brass with beautiful looks. The Mini Comp Lyfe Battle clone RDA comes with triple-post deck design. Features 25mm diameter, large build deck. 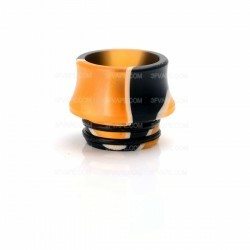 The special drip tip is made from Resin with 15mm length and 13.5mm diameter. 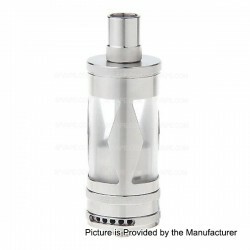 The glass tank is suitable for Kayfun V5 Mini RTA Atomizer. The glass tank is suitable for Taifun GT III RTA Atomizer. Vaporesso Traditional EUC (ECO Universal coil) Clapton with sleeve is designed to deliver cloud-size vapor with the purest flavor. The EUC will allow you to replace only the core of your atomizer which is called EUC by dropping it in and out of its casing, leaving the metal sleeve. It can fit for Estoc Tank Mega / Estoc Tank / Doubloon Tank / Target Pro / ORC / Gemini Tank / Aspire Atlantis Tank / Eleaf Pico / Eleaf iJust. 0.4 OHM (40~50W) and 0.5 OHM (35~40W) availbale, 10pcs pack. Vaporesso Ceramic EUC (ECO Universal coil) is designed to deliver cloud-size vapor with the purest flavor. The EUC will allow you to replace only the core of your atomizer which is called EUC by dropping it in and out of its casing, leaving the metal sleeve. It can fit for Estoc Tank Mega / Estoc Tank / Doubloon Tank. Also can fit for Target Pro / ORC / Gemini Tank / Aspire Atlantis Tank / Eleaf Pico / Eleaf iJust (need an extra sleeve). 0.5ohm, works 35-40W.